A long term project of mine is to scan and catalogue some of the journals given to me many years ago by a lovely gentleman who lived through the hey-days of the Melbourne textile industry. His name is not that of the following picture but was a friend of his. Thought you would appreciate this comment about pink! I'm just finishing off these scarves for the upcoming Undercurrent market at the National Portrait Gallery this Friday night and Saturday. I'm eager to see them off - they're silk and hemp. And these are Belinda's arms helping me with them! Thanks Belly! Well over the past week I have been playing and weaving colour samples and some ground fabric to play with some stitching for Lacroix Sweetie. Mel and I have been a little neglectful of our blog lately so I will start to post fortnightly ( I would like to think more often than that but at least its a start). Mel its your turn to post! 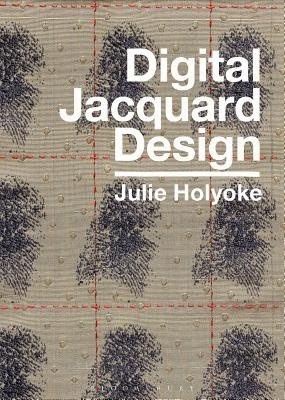 Digital Jacquard by Julie Holyoke has been published. Its a fantastic resource for weaves and a beautiful publication just to look at and learn about the intricacies of old and new textiles. Digital Jacquard Design Julie Holyoke. Mel is an amazing weaver and is features a number of times in the book and is on the opening page. Congratulations Mel and also congratulation Julie on a brilliant book. Melanie Olde, Jacquard design woven at Lisio Foundation Florence Italy. As this is Mel's development warp I have blanked out her pattern,hence the white square. I am looking forward to this warp being woven as what Mel has described sounds very interesting. I promise she or I will post more photos soon.